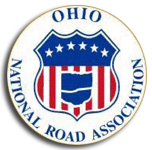 The Ohio National Road Association, Inc., (ONRA) was formed in 2000. MISSION STATEMENT: Its mission is to preserve, promote and enhance the Historic National Road in Ohio for present and future generations. ONRA is an all-volunteer, grassroots organization led by an elected executive committee and a Board of Directors made up of two representatives from each of the ten National Road counties in Ohio, as well as ‘at-large’ and ex-officio members. General memberships, both individual and business, are available and heartily encouraged for any and all interested parties. Information on joining ONRA can be found in the Membership link above. To date, more than 150 individuals are members of ONRA. We appreciate your interest and cordially invite you to Join the Journey, by becoming a member of the Ohio National Road Association.